***UPDATE*** This event is SOLD OUT. Tickets will not be available at the door. 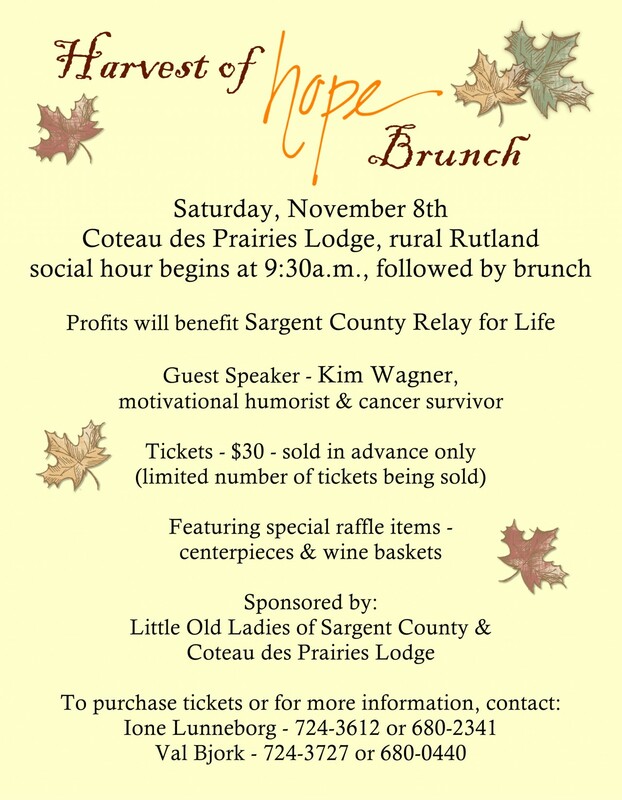 Join us at the lodge on Saturday, November 8th for a special event presented by Sargent County Relay for Life. The Harvest of Hope Brunch features guest speaker Kim Wagner, a motivational humorist and cancer survivor. Profits from the event will benefit Sargent County Relay for Life.